The Strategies for Development team brings together solid local, national and international experience in international development, public health, training, education, public administration, science and the arts. The leadership and affiliated consultants of Strategies for Development have a broad world view, extensive professional experience both in the United States and abroad, and an interest in developing the best possible programs, systems, training, research, and outreach to our communities. In the United States, with major growth coming from people who have been born elsewhere, we need to forge links with those home communities, whether in Latin America, Africa, Asia or Europe. Organizations that can develop culturally-sensitive outreach are those most likely to be relevant. Information and communications technology provide tools for this outreach, but are not in themselves sufficient. The people of StratDev are available to assist you with research and writing in a variety of fields..
David Stillman is a founder and the Executive Director of the Public-Private Alliance Foundation. He was formerly the general manager of the United Nations Public-Private Alliance for Rural Development, for which Madagascar and the Dominican Republic were pilot countries. He and his wife Jeanne Betsock Stillman are partners in the consulting firm, Strategies for Development, Inc.
Stillman worked in the United Nations Secretariat from 1974 to 2004. As a Senior Officer in the Department of Economic and Social Affairs, he was a member of the team that supports the deliberations of the Economic and Social Council and the General Assembly. Previously he was an Advisor in the Office of the Under-Secretary-General for Development Support and Management Services. In the mid-1980s he served as Assistant Resident Representative in Islamabad, Pakistan, with the UN Development Programme, responsible chiefly for agricultural projects. Before joining the UN he worked in Togo, Ghana and Kenya. Stillman is a past-president of the United Nations Association of the USA (UNA-USA) Westchester Chapter, a member of the board of the UNA-USA Southern NY State Division, a member of the Rotary Club of New York, and an honorary board member of the North Carolina-based American Freedom Association. Stillman holds a BA from the School of International Service of the American University and an MA and PhD in political science from Duke University. He has traveled extensively. He speaks English and French, and reads Spanish. Honors include Who's Who in America. Jeanne Betsock Stillman is president and co-founder of Strategies for Development, Inc., She is a founding member of the Public-Private Alliance Foundation and was re-elected Secretary of the Foundation at the board's February 26, 2013 meeting. She has served as a staff member or independent consultant with non-governmental organizations, international organizations and universities in the US and 20 other countries in the fields of non-profit management, international public health, gender issues and program development. She is active in the United Nations Association of the USA, where she is Vice President for Chapter Development and Past- President of the UNA Southern New York State Division. She is a Mid-Atlantic representative to the UNA-USA National Council. She has been co-chair since 2011 of the Mid-Atlantic Regional Conference and Members Day at the UN. 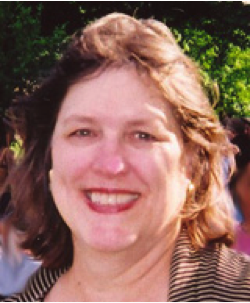 In the UNA Westchester Chapter, she served as Executive Director and as a Board member and Secretary. She produced the 70 video series "Going Global with the UN.". Stillman holds a BA from the American University School of International Service, an MSPH from the University of North Carolina at Chapel Hill School of Public Health, and carried out doctoral coursework at Columbia University. She edited the 11-volume Training Course in Women's Health (1993), and supervised the translation into French of a training course on HIV/AIDS.She was Associate Editor of the two-volume International Encyclopedia of Population (Macmillan/Free Press, 1982). Honors include Who's Who in America. Scott Wright serves as pro bono attorney to Strategies for Development, Inc. He was elected Chair of the Public-Privaty Alliance Foundation at the board's February 26, 2013 meeting, having formerly served as Treasurer. He has been in private legal practice since 1988. His practice involves the representation of lenders, borrowers and arrangers in international trade finance transactions. He currently is involved in over $2 billion of emerging market trade finance transactions in numerous countries around the world. He has significant experience representing creditors in U.S. bankruptcy matters. He also represents US and international insurers, reinsurers, and financial institutions in diverse capital markets, insurance and derivative transactions. 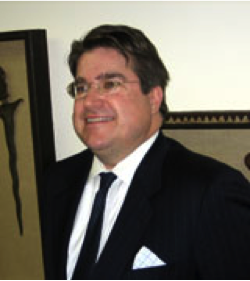 Through his practice Wright has developed a network of legal contacts in Africa, Asia, Europe, and North America. In 2003 and 2004 Wright represented the Government of Japan in a dispute with Loral Space & Communications over the MTSAT-1R satellite. The MTSAT-1R satellite replaced the existing weather satellite for weather forecasting in all of Asia. He protected the Government of Japan from losing its multi-trillion Yen investment in this project. This matter was reported by the American Lawyer. "Japan v. Loral," Big Suits Column, American Lawyer (April 2004). Wright has written and spoken widely. His article on sovereign trade finance was published in 2005. "Sovereign Trade Finance Transactions: A Legal Perspective," Reed Smith Financial Services Newsletter "Material Matters," vol. III, no. 1 (January, 2005). His speech on United States bankruptcy law to The Japan Industrial Institute, "The United States Bankruptcy System and the Japanese Bankruptcy System: A Comparison," (Tokyo, May 2004), was published by the Japanese Institute of International Business Law. Journal of the Japanese Institute of International Business Law, vol. 32, no. 7 (July 2004) and vol. 32, no. 8 (August 2004). Mr. Wright also is the co-author of The Law of Reinsurance Claims (Andrews Publications, 1994/1997) and @Risk-Internet and E-Commerce Insurance and Reinsurance Legal Issues (Reactions Publishing Group, 2000). Wright was named one of the world's leading lawyers by Euromoney Institutional Investor Plc. and is included in the International Who's Who of Insurance and Reinsurance Lawyers. He is a 1988 graduate of Georgetown University Law Center, where he was the Current Developments Editor of the Georgetown Immigration Law Journal. He graduated from Lake Forest College in 1985. Valerie Swinson Stillman provides administrative and bookkeeping support to Strategies to Development, Inc.. She is Accounting Specialist with Philadelphia Theatrical Supply and has worked as assistant to the office administrator in a prominent law firm, She has also worked as an office manager, event planner, and banquet manager in the restaurant industry, as a head bank teller; and in the social service industry in an administrative capacity. Valerie is proficient in QuickBooks and Microsoft Office including Excel, Word, Outlook and Powerpoint. She is also proficient in Microsoft Dynamics Great Plains, AS 400 and other software used in financial management, business analytics, e-commerce, supply chain management, manufacturing, project accounting, field service, customer relationship management, retail management, and human resource management. ​Valerie is a graduate of the Philadelphia High School of Performing Arts and has extensive performance, choreography and dance teaching experience.